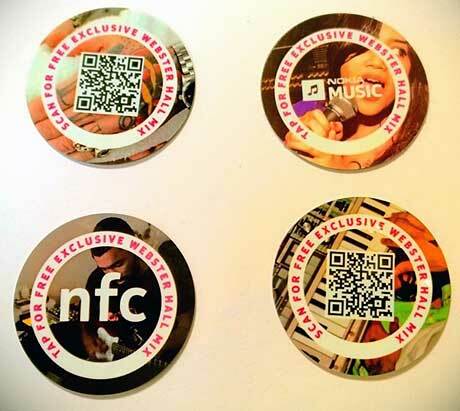 Nokia Music and UK-based NFC specialist Wooshping have teamed up to offer exclusive music playlists via NFC posters and stickers to gig goers at New York’s Webster Hall. Playlists provided by Sony Music and refreshed on a weekly basis through Wooshping’s cloud-based platform are offered via NFC tag or QR code while Nokia Lumia users also receive mixes prepared by the US Nokia Music team through Nokia Music Mix Radio as part of the campaign. Wooshping is also providing analytics data to Nokia Music detailing the breakdown of devices used, the chosen interaction method and number of hits, to help tailor future content to the audience.